Echey Gaon or Echey Forest,is an upcoming destination very close from Echey Gaon with the feel of deciduous forest with excellent surroundings of huge Pine and other Trees. A paradise for bird watchers,Echey Gaon offers nesting opportunity to various Himalayn Bird population including the Green Magpie, Rufous Sibia, Blue Fronted Redstart Indian Blue Robin, Echey Gaon is an Organic Village Tourism spot nestled at an altitude of 5900 ft. Its distance from Kalimpong is about 15 km. The majestic Kanchenjhengha with its wide ranges is clearly visible from this beautiful village of Echey Gaon. Echey Gaon is situated at an distance of about 2.5 kms from Echey Gaon. A wonderful trek from one place to the other through Ramitey View Point gives an everlasting memory to be cherished for years. The enchanting view of Mtg. Kanchanjhengha and River Teesta from the Ramity View Point is what you get extra. Nearest Railhead is NJp (New Jalpaiguri Station) and the nearest airport is Bagdogra, From NJP station it will take 3 hours to reach Echey Gaon by a car, in Kalimpong-Ramdura-Rangpo route. The distance from Siliguri to Echey Gaon is 87 kms. Mukhia Home Stay at Echey Gaon offers a cozy, comfortable Home Stay solution with great homely warmth. The rooms are comfortable with western toilets and food is organic here. Khawas Home Stay at Echey Gaon is a two storied homestay run by a Khawas Family. The rooms are clean and with views of mountains. Western Toilets are there. The main feature of this home stay is their guidance and hospitality sense. 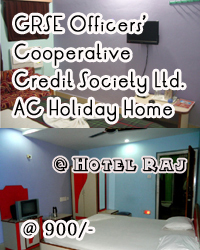 INR 900/- per pax under plan AP (from Bed Tea to Dinner) organic food with traditional style both Veg and Non-vegetarian. The tariff is same in both the homestays.